Didn't know where to put this, so here is another thread. Would this suite as the CV Yacht? Don't know what to say about this bow configuration. Could it be a phallus symbol? Some fancy decoration with no practical usefulness? And the initials are right, only in wrong order. 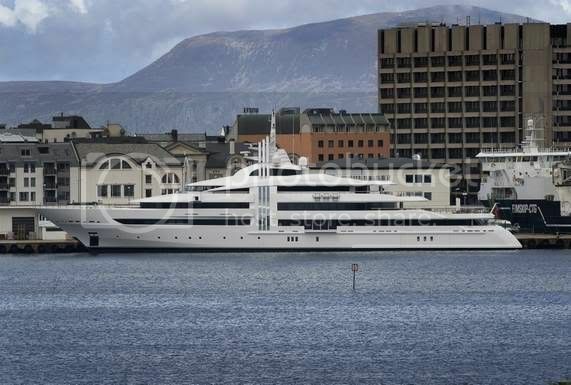 This yacht visited Geiranger and Aalesund a few days ago, with the Owner and his body guards on board. Said to have cost abt. USD 90 Mill. to build. Delivered from the yard in Holland earlier this year. Would that do as a run-about for the CV members? 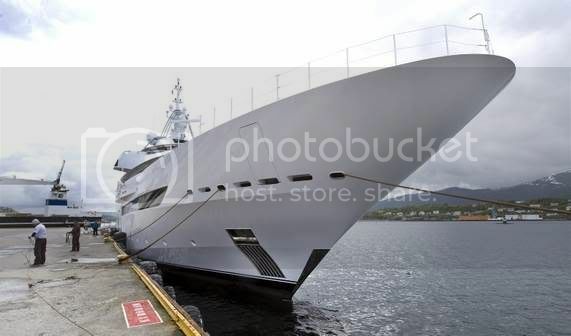 I have always imagined "our yacht" to be having a Norway blue hull.... but that could be easily fixed with a few spray-paint guns. I think we discussed this with some examples in the old forum "a ship for Jan-Olav", but i could not find it. In my opinion, the solution is definetly "Kong Olav"! I would join the trips and refurbishment as often as i could. Maybe Sterkoder shipsyard would be the right place to do this? Oh, what the heck, guys...let's have BOTH!!!!! I could "slum it" for a few weeks on a yacht like that. 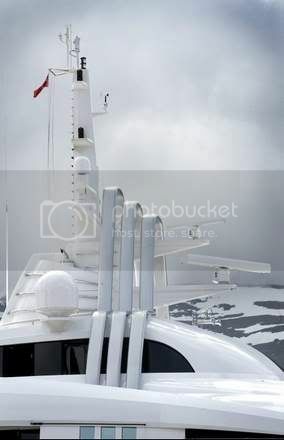 If we should have a modern yacht for our CV members, and since we mostly love the more elegant lines, this could perhaps be a better choice for us? Currently sailing as the Wedge 2, and commanded by Captain R. Maalen. Would the captain come with the ship???? If so, whip out that checkbook, ADMIRAL Storli--we've found her!!!! The above mentioned Master, took this fantastic looking vessel into Portofino on Monday, and if you are quick, you can still see her on the Portofino webcam: the largest yacht ever to dock in Portofino! The evening view promises to be even better! SS DELPHINE is a graceful ship,a really classic one.This could fit as the new ship for CV members don't you agree? Take look on Chritina O too. These shots really show her true size! The vessel along her starboard side in the last photo looks big enough, but the 'Wedge 2' dwarfs her! And just compare her with the size of the buildings!